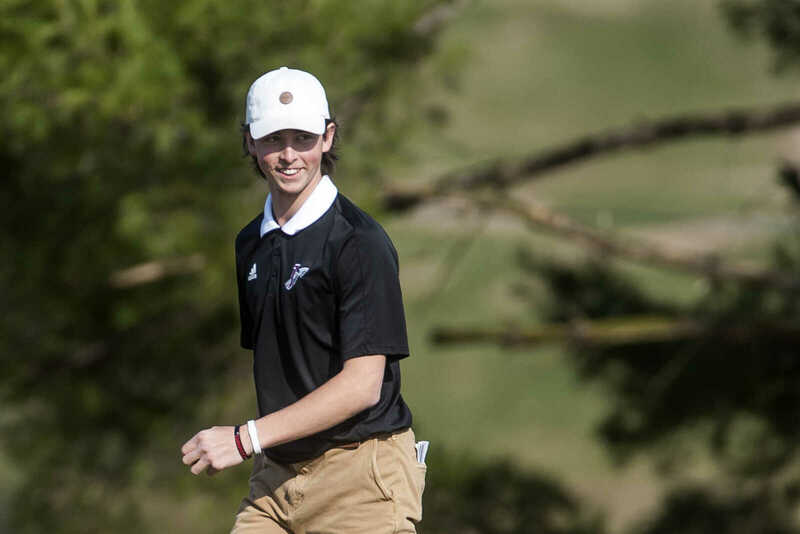 TYLER GRAEF Ð tgraef@semissourian.com Tanner Walton grins after draining a long-range chip shot on the second hole. Golfers from Cape Central, Jackson and Notre Dame competed Thursday, Oct. 18, 2018, at Kimbeland Country Club in Jackson. 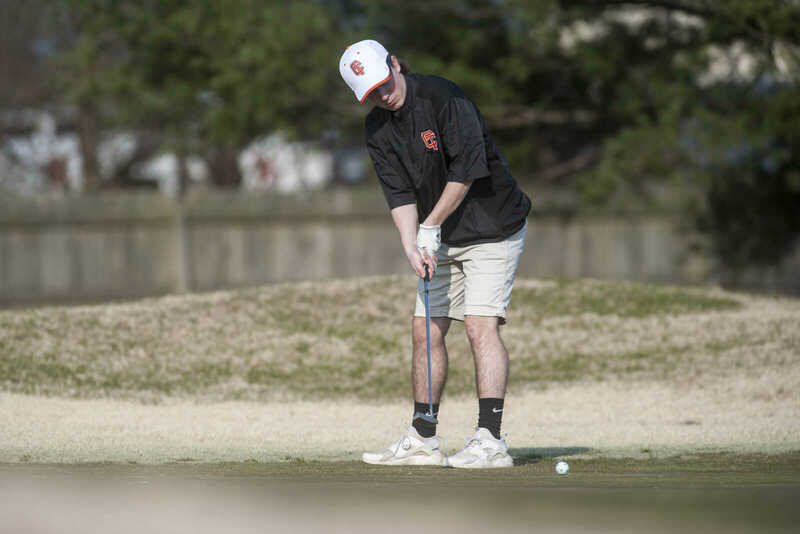 TYLER GRAEF Ð tgraef@semissourian.com Cape Central's Gavin Byars putts on the third hole. Golfers from Cape Central, Jackson and Notre Dame competed Thursday, Oct. 18, 2018, at Kimbeland Country Club in Jackson. 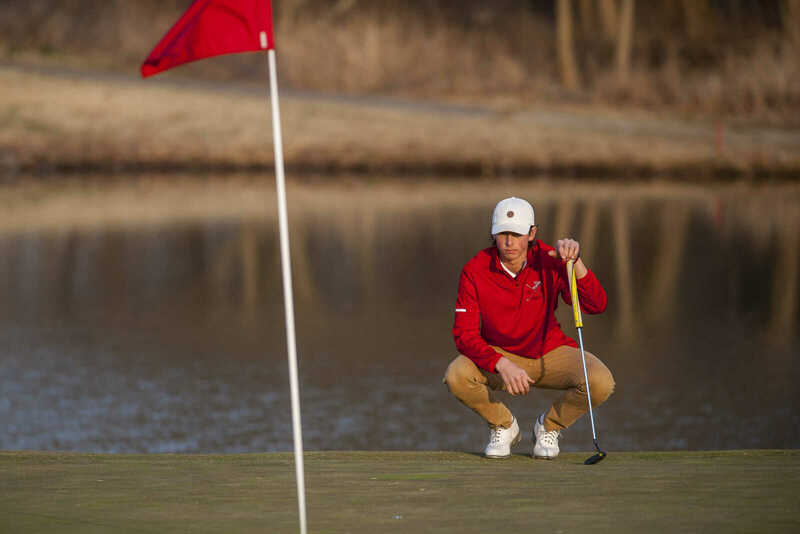 TYLER GRAEF Ð tgraef@semissourian.com Jackson's Tanner Walton eyes the ninth hole. Golfers from Cape Central, Jackson and Notre Dame competed Thursday, Oct. 18, 2018, at Kimbeland Country Club in Jackson. 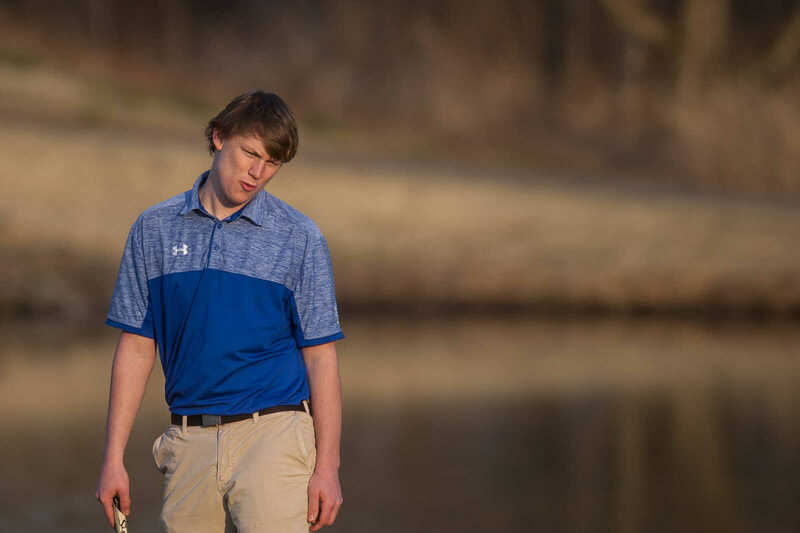 TYLER GRAEF Ð tgraef@semissourian.com Notre Dame's Nate Hulshof reacts to a near miss on the ninth hole. Golfers from Cape Central, Jackson and Notre Dame competed Thursday, Oct. 18, 2018, at Kimbeland Country Club in Jackson. 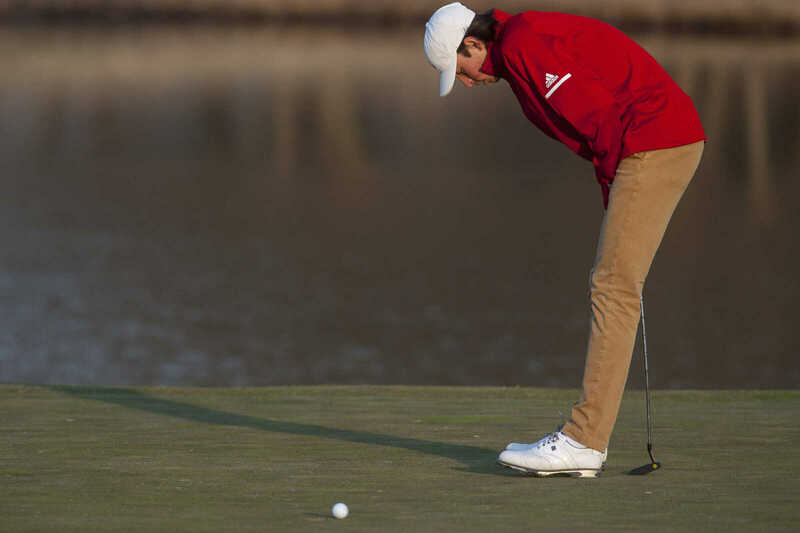 TYLER GRAEF Ð tgraef@semissourian.com Tanner Walton reacts as the ball stops on the lip of the ninth hole. Golfers from Cape Central, Jackson and Notre Dame competed Thursday, Oct. 18, 2018, at Kimbeland Country Club in Jackson. TYLER GRAEF Ð tgraef@semissourian.com Notre Dame's Chase Logel tees off at the third hole. 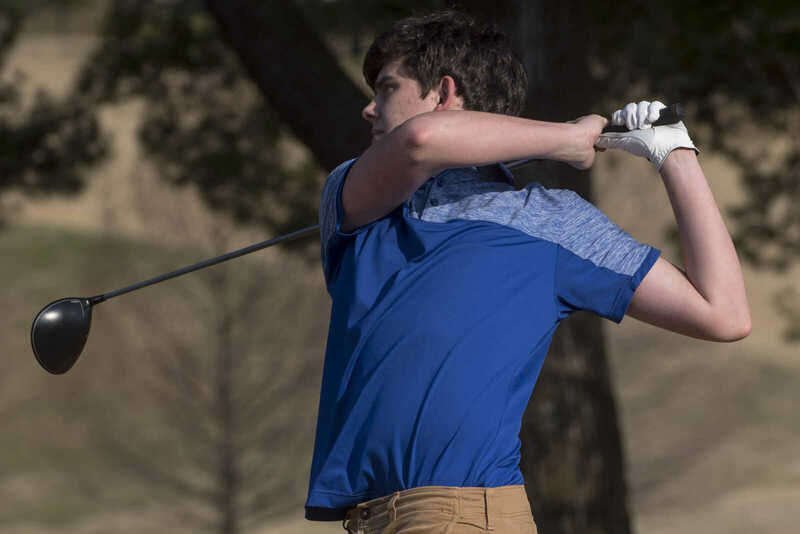 Golfers from Cape Central, Jackson and Notre Dame competed Tuesday, March 19, 2019, at Kimbeland Country Club in Jackson.